2009-2012 Boxster. GENUINE PORSCHE PRODUCT. We have an extensive inventory of NEW, USED, NLA and NOS Porsche Parts, which range from Pre-A 356 to the latest 991 from Stuttgart, Germany. Camlock Design for Release all 3 Seat Belts at once. Made from 2" Wide Heavy Duty Nylon Strap. 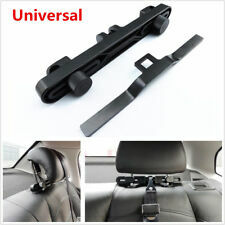 Universal Fit all vehicle 4 POINT BOL IN MOUNTING. Provide extra safety and comfortable in driving. Handle : Usually takes 24 ~ 48 hrs. Porsche part #:996 803 038 91. Porsche Part #:996 803 037 91. Made of Soft touch Fabric, add comfort and protection to your journey Velcro Stitched for Firm Pad Attaching & Easy Installation Brand New Never Used or Installed Measurements : 9.25" x 2.5" FOR USE WITH 2'' BELTS & HARNESSES Package Includes: 2pcs*Car Seat Belt Shoulder Pads. EYE BOLT IS INCLUDE IT!FAST SHIPPING !LIMITED IN STOCK! 2002 Porsche Boxster 986. This part was dismantled off a 2002 Porsche Boxster 986 with 46k miles. Right Passenger Seat Belt OEM. This item is in good condition. The belt itself doesn’t have tears or loose threads. 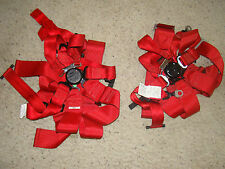 Set of seat belts from a 2001 Boxster S. No blown air bags. Electrical parts are tested prior to removing from the machine and verified to function properly. Ø As a result of itbeing a used part, the item may show light scuffs, scratches, or other imperfections. Ø All of the parts are tested either before or after removal from the vehicle. If they do not function, then we do not list it. 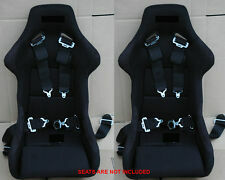 4-Point Racing Seat Belt(s) designed for safety and comfort. Sabelt Plastic type buckle. 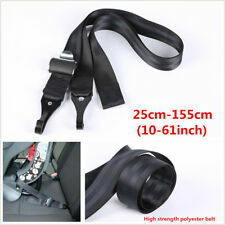 1 SET(Driver & Passenger) SEATBELT HARNESS. 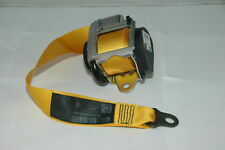 High grade 2” width nylon belt(s) with waist protection. UNIVERSAL FIT. Trending at $43.99eBay determines this price through a machine learned model of the product's sale prices within the last 90 days. This car seat belt cover shoulder pad is made of soft touch nylon material with carbon fiber pattern on surface, with cotton stuffed which will make you feel more comfortable from seat belt edge scratching or cutting. Get your hands on new, one of a kind, SICKSPEED wallet! Made from quality seat belt material. Many different colors for you to choose from. Boxster 5 Speed Manual RWD(rear wheel drive) 2.5 DOHC 24V VIN# WP0CA2983XU621105. 1999 Porsche. 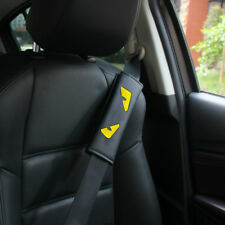 Black 2 Seat Belts ( Marks ) pictured -removed from a. We take multiple pictures in an attempt to clearly portray the general color and condition of the item. Made of Soft touch Fabric, add comfort and protection to your journey Velcro Stitched for Firm Pad Attaching & Easy Installation Brand New Never Used or Installed Measurements : 9.25" x 2.5" FOR USE WITH 2'' BELTS & HARNESSES Package Includes: 2pcs x BMW Car Seat Belt Pads. Porsche Boxster right passenger side seat belt. In great condition. Otherwise it can be a little tricky to repull the slack especially when the unit is out of the car. Fits Boxster (S) from 2002-2004. Boxster 5 Speed Manual RWD(rear wheel drive) 2.5 DOHC 24V VIN# WP0CA2984WU624495. 1998 Porsche. Black Seat Belts ( Wear )pictured -removed from a. We take multiple pictures in an attempt to clearly portray the general color and condition of the item. 2002 Porsche Boxster Manual 5 Speed RWD(rear wheel drive) 2.7 DOHC 24V VIN# WP0CA29832U620996 with ONLY 60,072 MILES ! This assembly may have imperfections and is sold as is. Black Seat Belt Part# 561102801pictured. Boxster 5 Speed Manual RWD(rear wheel drive) 2.5 DOHC 24V VIN# WP0CA2984WU624495. Front Seat Belt Receiver ( Marks / Wear ) Part# 996.303.103.05 pictured -removed from a. 1998 Porsche. We take multiple pictures in an attempt to clearly portray the general color and condition of the item. Made from 2" Wide Heavy Duty Nylon Strap. Camlock Design for Release all 3 Seat Belts at once. Provide extra safety and comfortable in driving. Universal Fit all vehicle 4 POINT BOL IN MOUNTING. Handle : Usually takes 24 ~ 48 hrs. Limited quantities available, get your hands on one now! Porsche 996 Carrera Cabriolet right passenger side seat belt. In great condition. Fits all 996 Carrera Cabriolet models from 1999-2001. Otherwise it can be a little tricky to repull the slack especially when the unit is out of the car. Porsche 996 Carrera Cabriolet left driver side seat belt. In great condition. Fits all 996 Carrera Cabriolet models from 1999-2001. Otherwise it can be a little tricky to repull the slack especially when the unit is out of the car. Universal 5 Point 3" Adjustable Camlock Style Nylon Seat Belt Harness. Camlock Type Buckle, Snap-On Steel Mounting Plates With Eyebolts. PO BOX, GU, PR HI, AK,APO/FPO. USA 48 States. 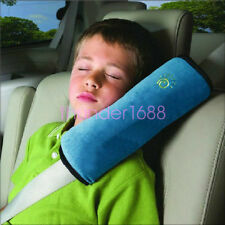 Car Auto Armrest BoxPU Pad Cover x1. Material:PU Leather. 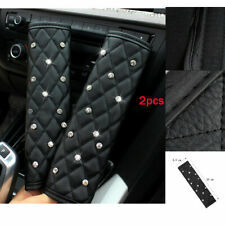 Comfortable Soft Warm PU Leather & Artificial Hair. Brake Pad Calliper Piston Rewind Right Handed Set Wind Back Wheel Cylinder Tool. Wireless Car Bluetooth FM Transmitter Handsfree Call MP3 Radio Adapter Car AUX. Universal 4 Point 2" Adjustable Snap-On Style Nylon Seat Belt Harness. Sabelt Plastic Type Buckle, Snap-On Steel Mounting Plates With Eyebolts. PO BOX, GU, PR HI, AK,APO/FPO. USA 48 States.